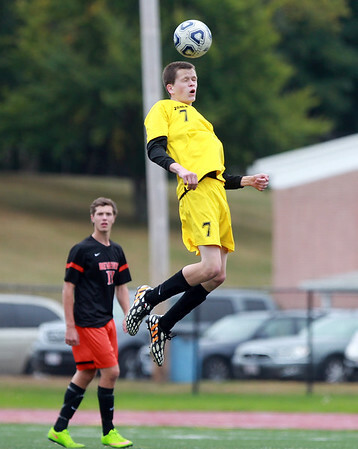 Bishop Fenwick's _________ wins a header against Beverly on Monday afternoon. DAVID LE/Staff photo. 10/13/14.